This site is part of the ACSI discount scheme. A 6.30pm arrival and we are welcomed warmly. It is also, probably the hottest day of the year so far and we’ve been stuck in a car for eight hours. Would we like fresh bread in the morning? Go and find yourself a pitch. No need to report back on which pitch you decide on. Not too big a site. 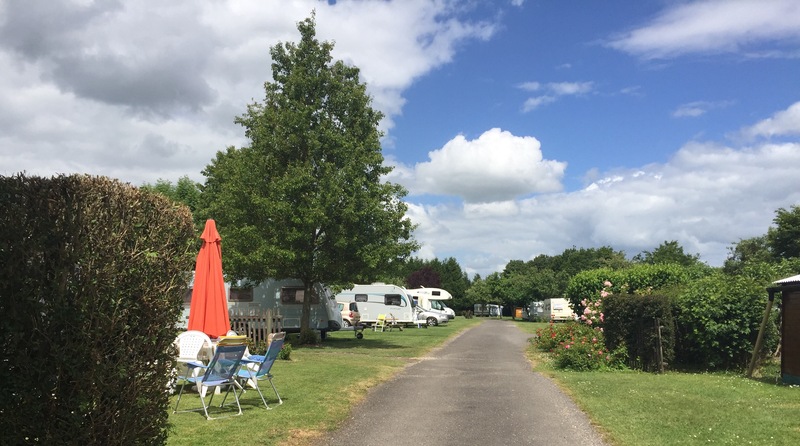 67 touring pitches, welcoming caravans, motorhomes and tents with 42 static pitches. There are a few seasonal caravans on site too. The pitches are grass, with ample room for an awning and a car. Nice to have grass underfoot again. 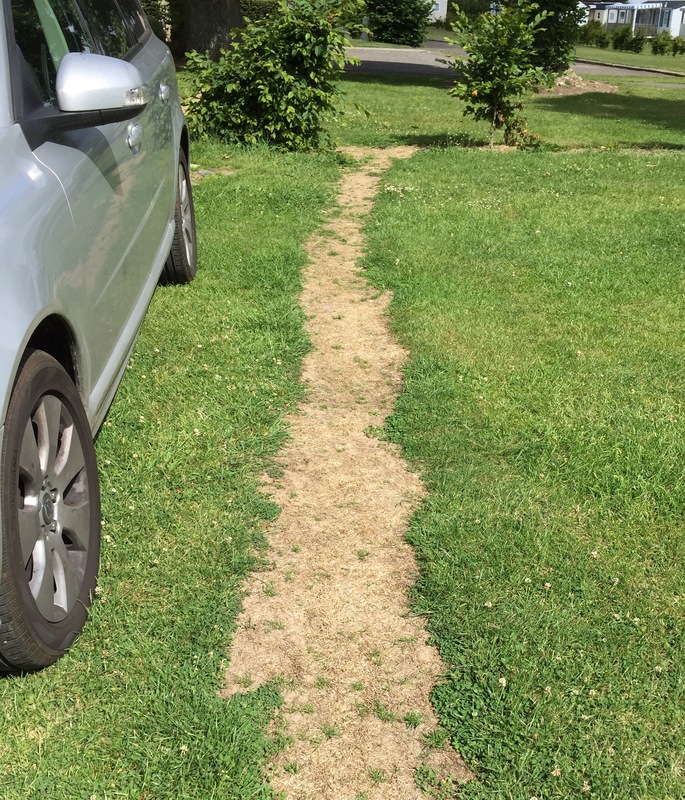 The pitches are sectioned off with sparse beech hedging and non grassed areas, which people use as paths and will walk close to your unit to get to where they want to go. Mature trees and climbing roses are dotted about providing shade for the pitches next to them. Other than that, in summer there is little escape from the sun. Each EHU point has a tap for fresh drinking water. For not a very big site there is plenty do here. 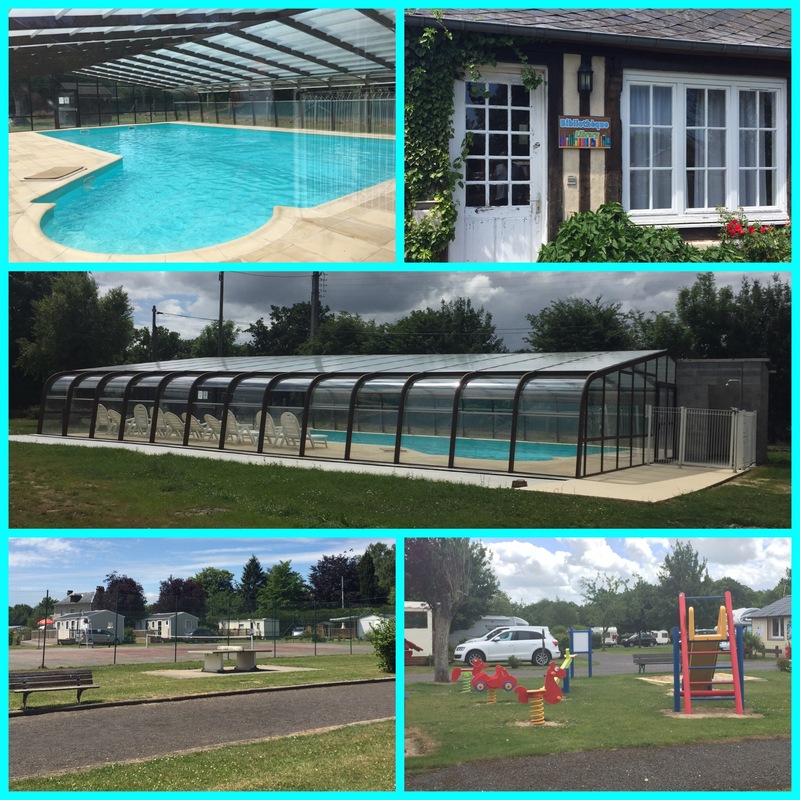 A covered swimming pool, pétanque pitches, a tennis court, play area, bar, small restaurant and a library complete with comfy chair. One facilities block services the site, with separate ladies and gents toilets and showers. Each has a couple of privacy cubicles and a baby changing area. Toilet paper and hand drying facilities are not provided. Each block is cleaned very early in the morning whilst the site sleeps. 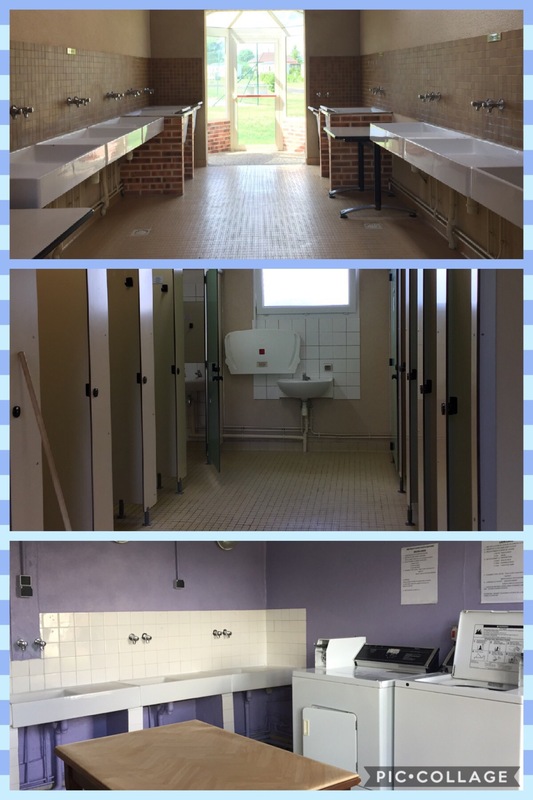 A covered indoor dishwashing area and a laundry area with washing machine and drier for a charge of €3.80 each. The washing machine is industrial sized so worked out a really good price for the amount it held. Reception offer bike hire and sell their own homemade cider and honey. Opposite reception is a small café/bar which has a small shop selling basic essentials behind it. Food is served and apparently the moules are amazing. Not being a seafood fan unfortunately ,we didn’t try them. Would we go again? Yes we would. We used it as a base for a few days whilst the majority of guests during our stay used it as a stop off point staying for only one or two nights. 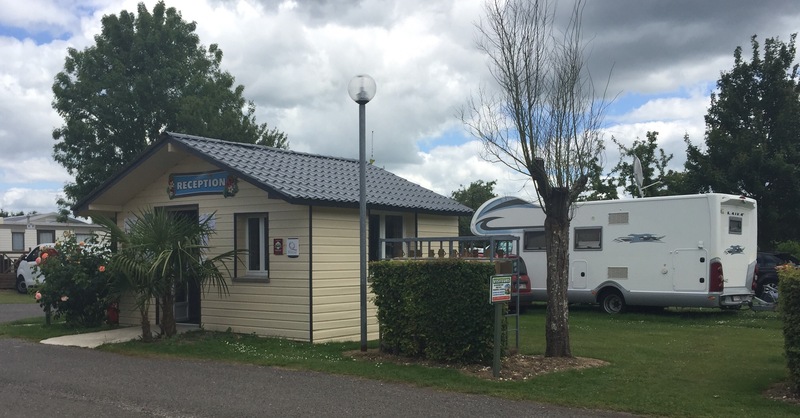 A good site for getting out and about in Normandy but not really close enough to visit the war graves and beaches. 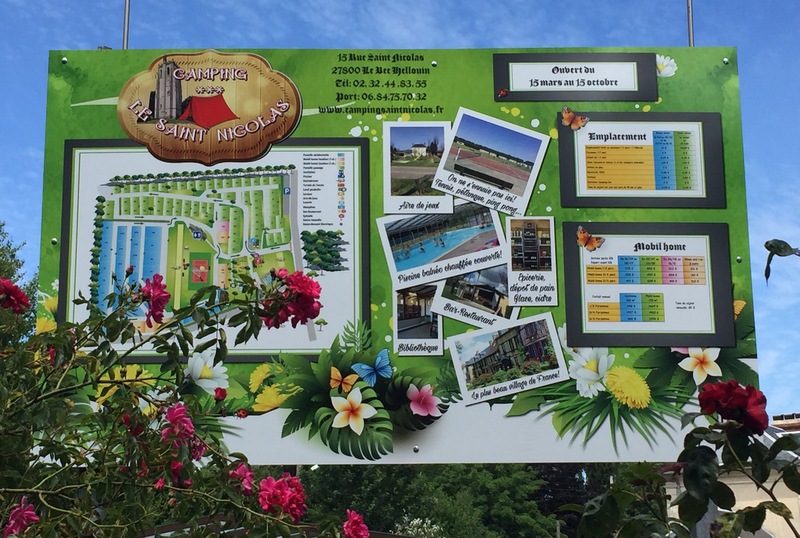 We paid €94.80 for 6 nights including tourist tax. All electricity was in included in the price.